Maureen is a Class “A” CPGA Head teaching professional. She possesses a tremendous dedication and passion for teaching the game of golf. 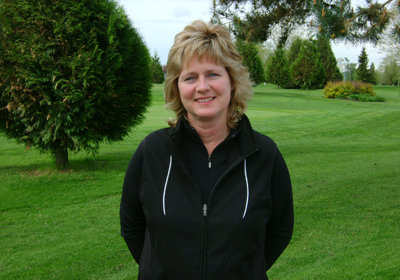 With 30 years of experience and expertise, Maureen has the ability to identify and work with each individual to improve every aspect of your game. Maureen helps you reach the next level in a comfortable, relaxed and fun learning environment. PLEASE NOTE OUR LESSON POLICIES! The following Private Learning Programs are designed for the students who desire more personalized attention. All lessons are conducted one-on-one, maximizing the students learning curve and allowing the instructor to focus directly on the individual. Take a lesson with a friend or family member. This format is a lot of fun and tailored to address specific needs of the twosome. Each session is 1 hour long. *One hour session for 3 people are a flat rate of $34.00 per person per session. Maureen will tailor these sessions to the request of the group. Since these are “custom” group sessions, we are unable to provide make-up classes if a session is missed. Swing Smart! Through quality instruction, whatever your present ability, you will develop knowledge and proficiency to enable you to continually improve your game! Alex joined the CPGA in 2007. 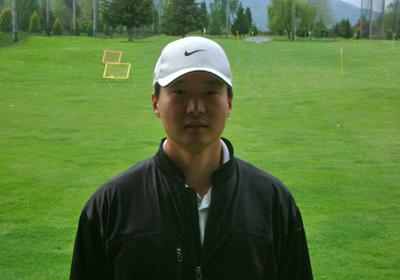 Alex has been teaching at Fraserglen for 5 years and he has been in the golf business for over 15 years. He has learned and competed in golf through out the world. Alex in 2002 was a former member of the CGTF and a medalist. He has worked with many accomplished teachers and played in numerous tournaments such as NGA mini tour, and Asian tour Q-school. Alex is also a certified club fitter. Alex believes that the true art of teaching Golf is in helping each student to understand fundamentals of swing and challenges. With many years of experience in the golf industry and professional competition, Alex will provide great knowledge and enhance the game of every golfer! Take a lesson with a friend or family member. This format is a lot of fun and tailored to address specific needs of the twosome.